Samanthas How to Condition Long Hair – What’s The Trade Secret? When it comes to managing long hair, conditioning it can feel like it’s going to give you a health condition! For further information on how to condition long hair, please read our article. If you want to make sure that you understand the overall process behind conditioning long hair, then you should almost certainly look to manage it. Overly fragile compared to shorter hairstyles, longer hair needs a lot of work if you want to condition it without doing any kind of lasting damage. To make the conditioning process easier, start off by brushing out any and all tangles that you come across. Getting rid of these is more likely to leave you with hair that can handle a condition without breaking. Starting at the ends, slowly work your way up rather than trying to battle from the top and causing yourself all manner of pain and hair snaps that look awful. Now, you should look to choose a good shampoo that fits your hair style in general. If your hair is overly dry, then find something that can moisturize it. 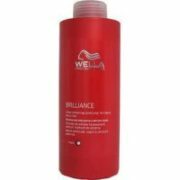 If your hair is excessively oily, then look to find a shampoo that can provide a clarifying effect. As always, start off with a dampening session that gets your hair nice and wet, and then rub it into your scalp nice and gently. Then, take the conditioner that you want to use – the dryer your hair, the deeper it has to be. Also, make sure you only apply it to the ends of your long hair and never the roots as this causes excessive build-up that is bad for hair health in general. Once ready, you can wring out your water from your hair – the quicker the better, as water dilutes the effectiveness of the conditioner. So long as you listened to the start of the post and brushed it beforehand then this should be a painless and fun procedure! Now that you have done this, you simply need to rinse out all of that conditioner from your hair. Try and use the coldest water that you can as this helps to seal in cuticles in your hair protecting them from any damage or decay immediately. This also helps to make that long hair of yours look luscious and vibrant. For easy help in making sure that your hair carries a bit of extra charm and class, taking the time to rinse it out using cold water is going to really help make a difference. The colder the better as colder water causes a locking in of the good stuff from the conditioner to occur. With this in mind, then, you should have very little problems in the way of improving how you look moving forward. If you want your long hair to turn into luscious locks, then this is the easiest way to make that happen!